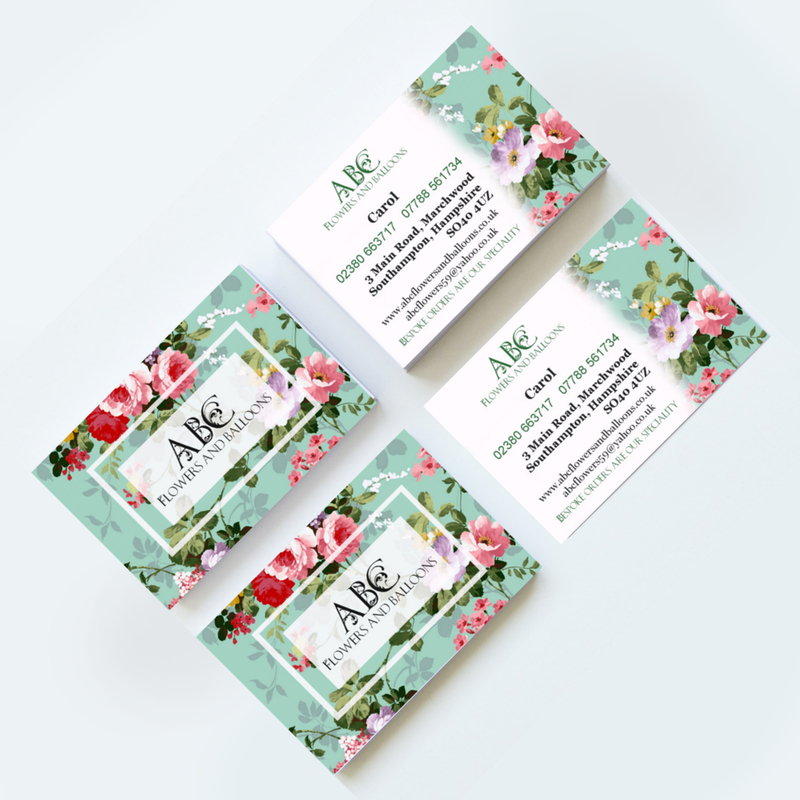 Carol from ABC Flowers and Balloons in Marchwood requested business card printing and design from us. The company wanted a fresh new design, up-to-date information and a print run. We did just that. Carol was pretty pleased with the outcome and so are we. At a glance you can see clearly that they're a florist.